One Day Vibhu was doing what he should not. He was littering things, wasting water, messing up with bed-sheet And then Mumma screamed "Vibhu Shaitani Nahi.."
She even snatched Vibhu's water bottle as he was spitting water everywhere. 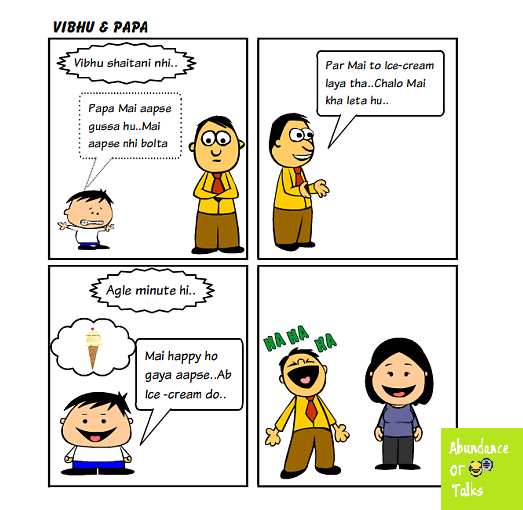 Vibhu started wailing and this happened when Papa asked "Vibhu kya hua..?"